Artist and designer Richard Rawlins was a member of the Trinidadian contingent at the opening of the Paramaribo SPAN exhibition at the end of February. On his return to Trinidad, inspired by Roberto Tjon A Meeuw’s Fatu Bangi project, Rawlins designed and built his own version of a traditional Surinamese fatu bangi at Alice Yard, the arts space run by architect Sean Leonard in collaboration with Christopher Cozier and Nicholas Laughlin. 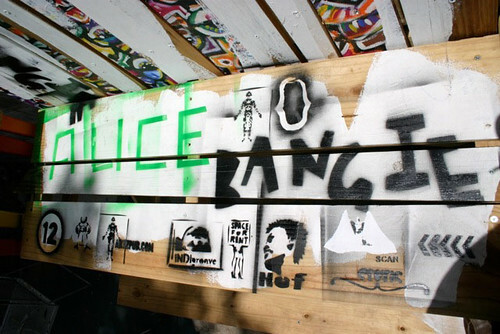 The Alice Bangi, now installed in Alice Yard's outdoor space, is decorated with stenciled graphics documenting various events and artists' projects from the past year. 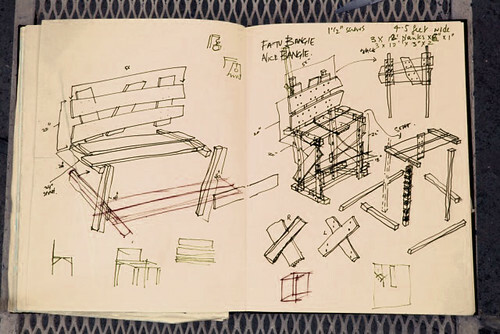 Read Rawlins's notes on the project and see photos documenting the construction of the bangi at the Alice Yard blog.